A succession of European Erasmus+ students are now volunteering with Italian NGO Salviamo l’Orso. 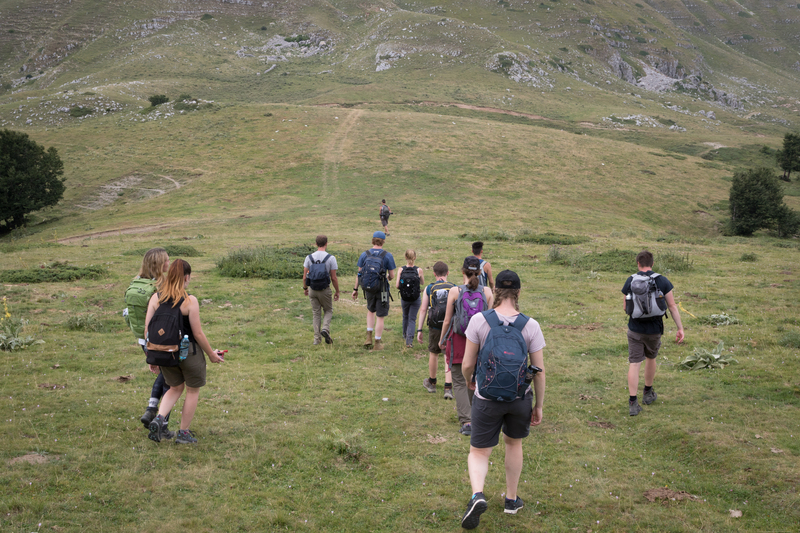 As they make an invaluable contribution to Marsican brown bear conservation in the Central Apennines rewilding area, they are also learning from their experience. Italian NGO Salviamo l’Orso is currently hosting a number of volunteers in the beautiful Central Apennines rewilding area (pictured here). In the Central Apennines rewilding area the Rewilding Apennines team and Italian NGO partner Salviamo l’Orso are carrying out a range of activities to conserve and boost the local population of Marsican brown bears. Much of this work involves mitigating human-bear conflict in corridors which link established bear populations living in protected areas. One of the strengths of this collaboration is the involvement of foreign students who have been volunteering with Salviamo l’Orso since 2015. 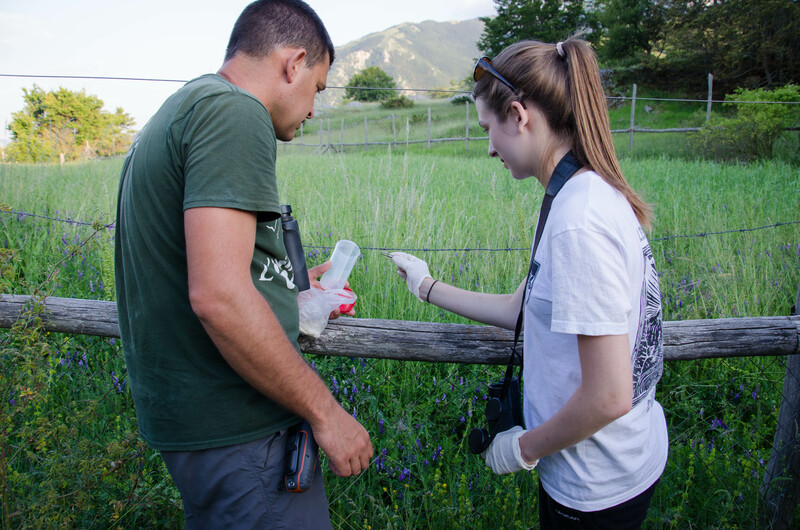 Benefitting from their experience on a personal and educational level, these young volunteers give back to the rewilding initiative through their highly important activities in the field. They also act as dedicated representatives of the two nature reserves that host them – the 3160-hectare Monte Genzana Alto Gizio reserve, located between the Abruzzo, Lazio and Molise National Park and Majella National Park in Pettorano sul Gizio, and the 450-hectare WWF Oasis Gole del Sagittario reserve, located between the Abruzzo, Lazio and Molise National Park and Sirente Velino Regional Park in Anversa degli Abruzzi. A Salviamo l’Orso volunteer removes material from a fence for genetic sampling. Salviamo l’Orso’s current batch of students, who are from England, Belgium, Germany, Estonia and Cyprus, are all in their twenties and studying conservation biology, zoology and environmental science. They are highly motivated to put into practice what they are learning at university, and to understand better a profession in conservation which they may follow in the near future. 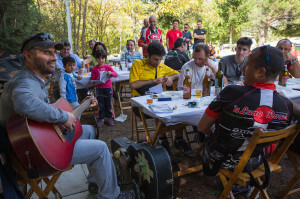 “I have had a keen interest in wildlife and the natural environment since I was very young,” says Jake Morris, an Englishman who arrived in Anversa degli Abruzzi in June. Studying a degree in biology is currently equipping Morris with the knowledge and skills to succeed in his future career. Before coming to Italy the Englishman was already yearning to put these attributes to use in the field. 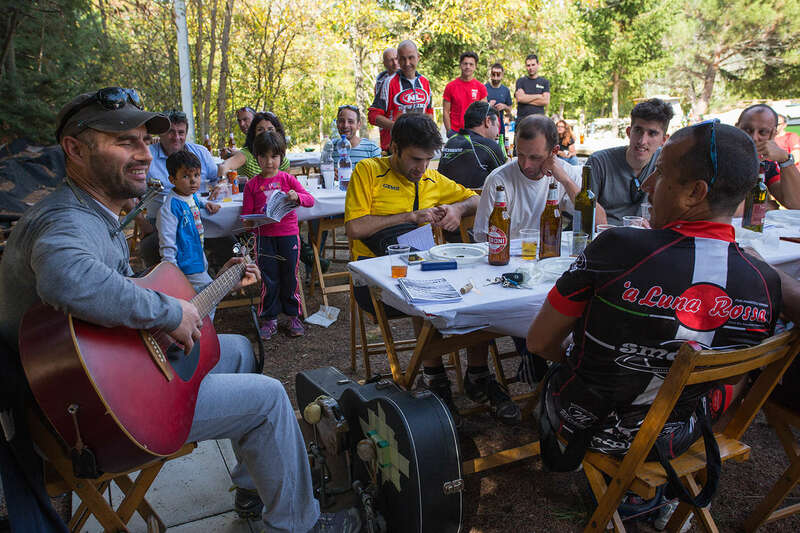 Salviamo l’Orso volunteers are involved in a diverse range of activities. 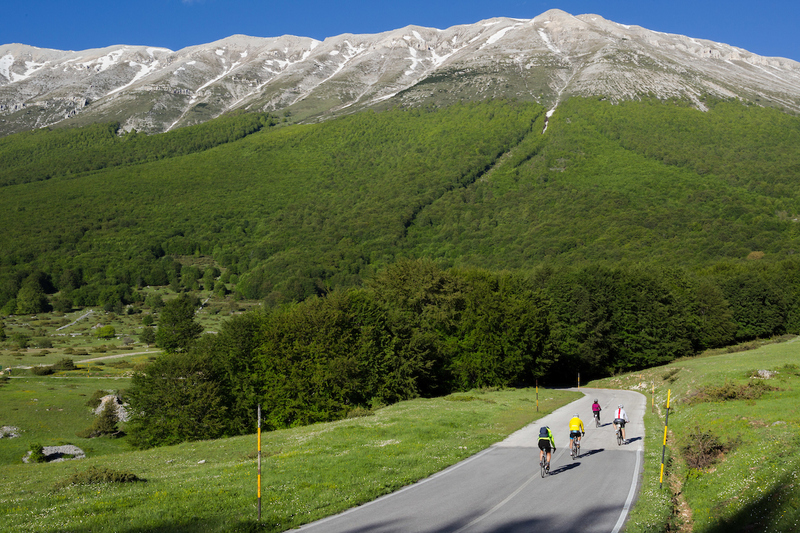 While the majority of tasks involve hiking in the local area, there are opportunities to journey farther afield in areas of the Abruzzo, Lazio and Molise National Park. The goal of these hikes is usually the installation of camera traps in order to monitor local biodiversity. This typically leads on to the regular changing of SD cards, viewing of imagery and recording of photographed species. Searching for signs of bears is also a common activity during hikes, and has meant the students have developed excellent tracking skills. These skills lead to a better understanding of the optimum places for installing camera traps. And if students come across what may be Marsican bear fur on their travels, this material is collected for subsequent genetic analysis. Volunteering activities usually involve hiking in the local area to install and maintain camera traps. Another important part of Salviamo l’Orso’s work is the construction and maintenance of electric fences. Protecting the property of residents from Marsican bears, these fences are critical in maintaining positive attitudes towards these magnificent animals in local communities. The volunteers seem to love practical work because they can see the tangible results. Based in Pettorano, Ross Parker feels most useful when he builds electric fences and information boards. Luke Robinson, who lives in the same village, loves what he calls “semi-independent activities”, such as walking on the paths of Monte Genzana Nature Reserve to explore new natural places and set up camera traps. Based in Anversa degli Abruzzi, Joanna Willock feels more involved when she can work in the field to look for signs of bears, while Eve Taylor likes to participate in the organisation of communications events, raising money and people’s awareness of the need for bear conservation. The work of the volunteers can be physically demanding, but they never complain. “Going beyond fatigue and reaching your goal makes everything worthwhile,” says Olivia Kenchington. The presence of volunteers provides economic support to the villages where they are based. The presence of young foreigners is extremely important to the micro-economies of the villages where they are temporarily based. Even though the students only stay for three to four months between February and November, they make good ambassadors for the bears and bear conservation. During the summer the work of the volunteers becomes as intense as activity of the local Marsican bears. Some are understandably keen to see a bear in reality or caught on camera, but all prioritise contributing to bear conservation and helping members of the local community. An experience can be defined as truly worthy if the people who experienced it want to share it with friends and colleagues. Some of the students have already recommended volunteering with Salviamo l’Orso to their friends back home at various European universities. We welcome all of our volunteers, both now and in the future, who contribute so greatly to the continued presence of the majestic Marsican bear in the Central Apennines. We hope you gain as much from your time with us as you give. Learn more about Rewilding Europe’s work in the Central Apennines here. Learn more about experiences offered by the European Safari Company in the Central Apennines here. Visit the Rewilding Apennines Facebook page here. Blog entries express the views and opinions of their authors, which might not always fully overlap with those of Rewilding Europe.